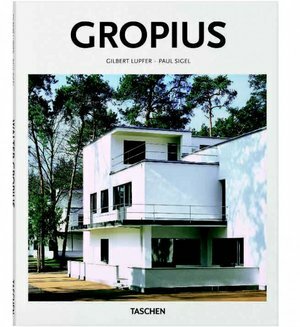 Born and educated in Germany, Walter Gropius (1883–1969) belongs to the select group of architects that massively influenced the international development of modern architecture. As the founding director of the Bauhaus, Gropius made inestimable contributions to his field, to the point that knowing his work is crucial to understanding Modernism. His early buildings, such Fagus Boot-Last Factory and the Bauhaus Building in Dessau, with their use of glass and industrial features, are still indispensable points of reference. After his emigration to the United States, he influenced the education of architects there and became, along with Ludwig Mies van der Rohe, a leading proponent of the International Style.